It’s official – Pope John Paul II and Pope John XXIII to be canonized! I sat down at the computer this morning and was pleased to see this breaking news – today, Pope Francis has approved the final decree to canonize the two pontiffs and declare them saints. The usual process of declaring someone a saint is an interesting one, it involves both recognizing their heroic and holy virtues during their life and then identifying and vetting at two miracles attributed to the saint. Some refer to the identification of miracles as ‘divine approval’ of the canonization, and proof that the person is in Heaven with God and can intercede on our behalf. Pope John Paul II was the only pope I knew during most of my life, and watching him suffer through his long illness with grace and humility was inspiring. Critics point to problems during his pontificate, but I have heard it said that when you are canonizing a pope you are looking at their personal holiness and not necessarily the results of their pontificate. 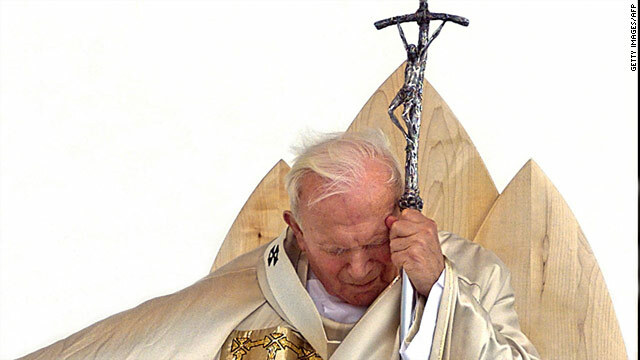 One needs to read only a little about Pope John Paul II’s life to know that he was a man of great personal holiness and provides a phenomenal example to strive for in this regard. I honestly don’t know much about the life of Pope John XXIII, but I do know that he convoked the Second Vatican Council and lived a dedicated and simple life even after being elected pope. This is all very good news, hopefully by the end of the year the canonization ceremony will take place! Santo Subito! Once again, the Federal government has succeeded in making my Facebook an intolerable place today. In case you’re living under a rock, you probably heard that the Defense of Marriage Act (DOMA) was partially overturned and the Supreme Court chose not to rule on Proposition 8. I have intentionally linked CNN so you can be sure to see some top-shelf grandstanding. Remember that True Love has already won. One of the prevailing soundbytes that I have seen so far is the notion that love won today. This is a lie, the fact is that a misapplication (or privation) of love won a legal victory today. Properly oriented love is unitive between the spouses and oriented toward the creation of new life, modeling God’s Love for all of us. For a bit more discussion of how traditional marriage and homosexual “marriage” are different, check out my previous article Five Facts: Homosexuality And Marriage. True love won around 2,000 years ago in the form of Christ crucified and the reality of that love will never need a law to protect it. Today I remember that Christ died for all of us regardless of our human faults, race, color, sexual orientation, or station in life. He calls us to live according to His teachings fully, to embrace His salvific love, and to pick up our Cross and follow Him. If we cherry pick teachings in such a way to fit our comfortable lifestyle or to support our sin, we are hardly living up to the standard our Lord set for us. If we continue to place our faith in the government to present for us sound moral teachings, we’re going to be constantly disappointed. These laws will come and go, but we should not allow them to point us away from what is actually True. This ruling by the Supreme Court is bound to have repercussions. Pat Archbold wrote a rather chilling article that paints a grim picture of how this could affect the Catholic Church. I pray that it doesn’t come to this, however I won’t be surprised if it does. Remember to pray for our government, pray for the Supreme Court justices, and pray for those that delight in and embrace their sinful behavior. Love all of them, so that they come to understand what real love looks like. 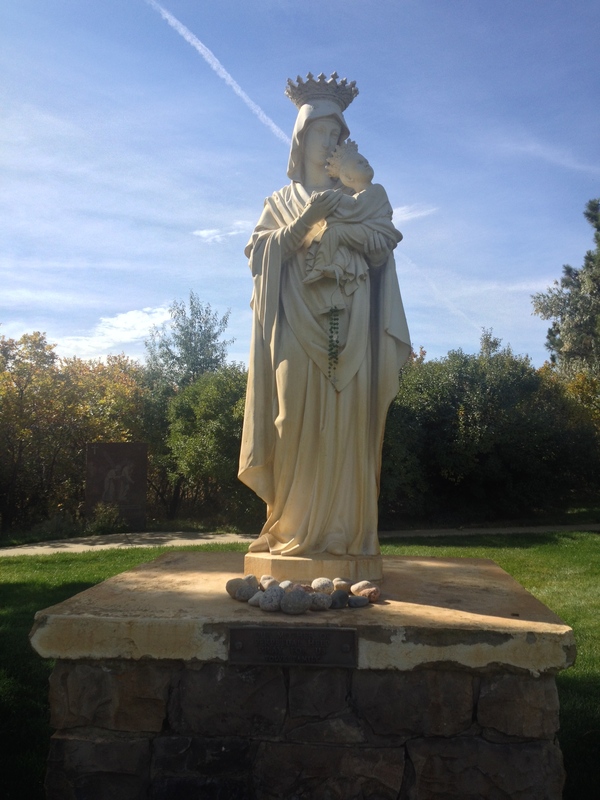 Last but not least, pray for the lay faithful, just politicians, blessed priests, and all others that keep up the fight. We have assurance that the gates of Hell will not prevail against our Church, but that does not mean that the road ahead will be easy. Today begins the Fortnight for Freedom, an initiative of prayer that has been convoked by the United States Conference of Catholic Bishops. The reason it has been called is to pray and act to address the threats to religious liberty. In the Archdiocese of Denver, our bishop has provided a calendar of events to follow and a Facebook event to support the cause. The first activity suggested is a day of fasting, in the style of Good Friday and Ash Wednesday. I was planning my day such that I could have dinner with my family, so I was presented with a nice opportunity for evangelization when I was asked to lunch by a coworker. I told him that it was a fasting day in support of protecting our religious freedom, and explained a bit about the Fortnight for Freedom. He scoffed at this, asking “what is going on that religious freedom is in trouble?” So many things… marriage redefinition, constant legal attacks against the sanctity of human life, high-level politicians that are Catholic in name only… but I decided to name the Health and Human Services Mandate. I explained that the enforcement of this mandate was threatening the livelihood of Christian-based businesses, charities, and adoption agencies that wish to operate according to their beliefs. I explained that this is not only a Catholic problem, that all religious institutions will likely be impacted in some way. He leaned back in his chair and trailed off without a retort, so maybe I gave him something to think about. First off, pray. If your diocese or parish doesn’t have activities planned for the Fortnight for Freedom, ask someone about it. I’m sure the Archdiocese of Denver won’t mind if you follow their calendar of events that I linked above. Second, act. Write your congressmen and senators. Talk to your local politicians. Pray in public in order to make your faith more visible. Be an advocate for living your Catholic faith in the public square even in small ways, like I did in talking to my coworker today. You never know what small act will change a mind. 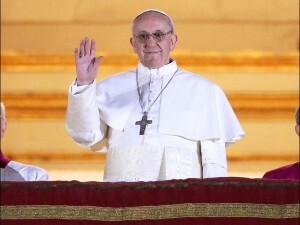 Today, Cardinal Jorge Mario Bergoglio became our new pope, taking the name Pope Francis! This is another situation where the Holy Spirit throws us a curveball, in the same vein as the election of Pope John Paul II in 1978. 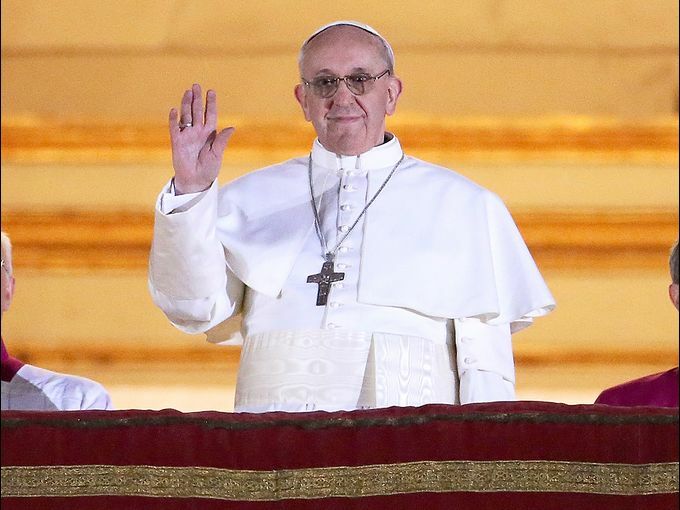 Francis is the first non-European pope since Pope Saint Gregory III in 731, who was born in Syria. He is the first Argentinean and the first Jesuit pope. “As you know, the duty of the conclave was to appoint a bishop of Rome. It seems to me that my brother cardinals have chosen one who is from far away, but here I am. “I would like to thank you for your embrace, also to … the bishops, thank you very much. After these statements, he paused and said “before the Bishop of Rome blesses you, I ask that in silence you pray to God for me.” This moment was truly beautiful… to watch all of Saint Peter’s Square fall silent and the new pope to bow his head humbly in prayer. I prayed too, and I must admit that I got a little misty-eyed at the poignant moment. I can’t imagine what the road from the Sistine Chapel to the Room of Tears must be like, the enormity of the moment and then to walk out on the balcony and see the throng of people elated to greet you… it must be tremendous. In that moment, to in turn ask those people to pray to God on your behalf… what a wonderful first statement by Pope Francis. I am encouraged by the little information that I have read so far about Pope Francis… that he is a follower of the most conservative Church teachings and was a strong advocate of pro-life, pro-marriage causes within Argentina. He was a vocal advocate against secular movements in his country and is considered to be a straight shooter. It seems that the Holy Spirit has answered our prayers for the right sort of man to lead the Church! Viva il Papa! The white smoke has gone up and we have bells at Saint Peter’s! We have a new pope! Tune in to the coverage at EWTN to find out who it is and hear his first blessing soon! Preparing for the next pope is quite a process, and in case you’ve been under a rock for the last few weeks you’ve probably been exposed to the gamut of excitement, coverage, speculation, and general hoopla that surrounds the election of the next Successor of Peter. I particularly enjoy all of the oddsmaking and punditry, but the fact of the matter is that nobody knows who will be the next pope yet because the Cardinals don’t even know yet. The first week or so of the conclave consists of general sessions and meet-and-greet opportunities for the Cardinals, because many of them have never met each other. During these sessions, they get to know one another and assess the state of the Church and the problems it faces as they look to the future. It is only then that the profile or dossier of the next pope begins to take shape… they try to find the right person to lead the Church from now moving forward, and there’s not exactly a rubrick to follow to include or exclude candidates. With all that being said, the Internet is abuzz with some truly great resources for finding out more about the conclave and keeping tabs on the latest news from the Holy See. Now that the Cardinals have set a date for the conclave (March 12) and the chimney is up, it’s time to get ourselves prepared to welcome a new pontiff. How does a pope get elected? This interactive slideshow explains the process of the papal election, with animations and points of interest that explain facts about the conclave process. The most interesting fact that I learned from this slideshow is that the papal tailor makes the vestments in three different sizes to match differing body types, so that they’re ready for the new pontiff (whoever he is). This made me imagine a closet somewhere in the Vatican full of tiny little pope outfits and big jolly pope outfits from years past. This website has been making the rounds in the Catholic blogosphere, Adopt a Cardinal randomly assigns you a Cardinal so that you can pray for them before and during the conclave process. I got Brazilian Cardinal Geraldo Majella Agnelo, Archbishop Emeritus of São Salvador da Bahia, Brazil. They’re not prescriptive about what you do once you’ve adopted a Cardinal, I used my Adoration time this week to do a rosary for the intentions of Cardinal Agnelo and that the Holy Spirit works in him to bring about the Holy Father that the Church needs. This site also includes a contest: if you pick the next pope’s name correctly, you are entered to win a chance at a new iPad mini. My vote went for John Paul III, I think even though it is soon after Pope John Paul II he provides a superior example to model one’s papacy after. The other options that I feel are likely would be Leo, Pius, or John. If you want to go in with the (fairly ridiculous) Saint Malachy prophecy crowd, you can vote for Peter II or Peter the Roman. I think it’s a fun concept with a fun prize associated with it! When I saw the title of this website, it made me laugh and then wonder why I didn’t think of something like this. You sign up for the website, enter your mobile phone number and/or email address and when the white smoke goes up you will get an alert notifying you that we have a new pope! This Conclave application by Verbum software gives you a live video feed so you can watch the white smoke rise, information about the 115 cardinal electors, official documents about the conclave and papal elections, coverage by high-quality Catholic bloggers and news sites, and a Twitter stream to read what people are saying about the conclave right now. The price is right (it’s free!) and available on both iOS or Android. You can find out more by visiting the application’s website. I hope you find something to enjoy! Hopefully by next week we’ll have a new pope to talk about, and one of us will have that iPad mini! 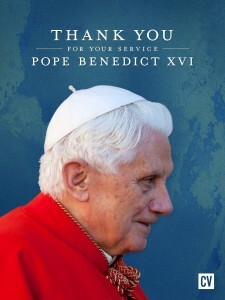 Tomorrow marks the end of the pontificate of Pope Benedict XVI. I thought it appropriate to spend a few minutes thanking the Holy Father for his service, and for making the brave decision to resign from the Chair of Saint Peter. Why was this decision brave? 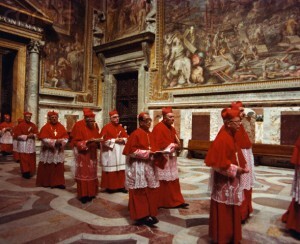 Because it demonstrates for us that even the Holy Father himself must answer Christ’s call, and it seems very clear that Pope Benedict feels that the Lord was calling him to serve in a quiet life of prayer and permit the Chair of Saint Peter to be filled be someone younger, more vigorous, and more physically capable of continuing the fight. In his final Wednesday audience, the Pope expressed thanks and gratitude for the opportunity to serve, and also articulated his personal reflections on the struggles and the times when “the Lord appeared to be sleeping.” It seems that Pope Benedict, like Mother Teresa and countless others before him, experienced a long dark night of the soul during his pontificate. He continued this reflection in noting that the Church is not his, nor ours, but Christ’s, and that is what we must remain focused on. To me, this reflects an profound example of maturity of worship. Pope Benedict continues to follow Christ’s command, even in some cases when it feels like he is not present. That is the essence of true worship and true trust, and the acknowledgement that God is always with us, even when he withdraws… and I believe that is why he withdraws, so people with profound integrity of spirit can show with their example how God should be praised. The Holy Father continued, “Loving the Church means also having the courage to make difficult and painful choices, keeping always the good of the Church at the fore and not our own.” I pray that I am able in my life to follow the example that Pope Benedict provides us, to meet Christ wherever He is and lead wherever He follows. 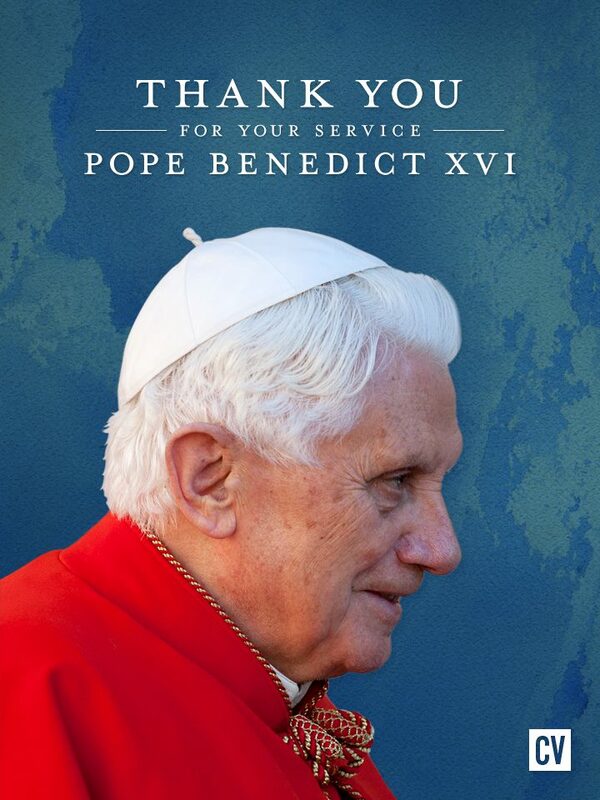 Thank you, Pope Benedict, for the gifts of your writing and the strong leadership that you provided the Church. Your term as pontiff may be over, but you have proven to be a good and faithful servant of Christ. I hope that your life of quiet, reflective prayer helps to bring you closer to the Lord and that the Holy Spirit blesses your successor to lead the Church with the same care that you did. The photo for this article was taken from CatholicVote’s Facebook page.